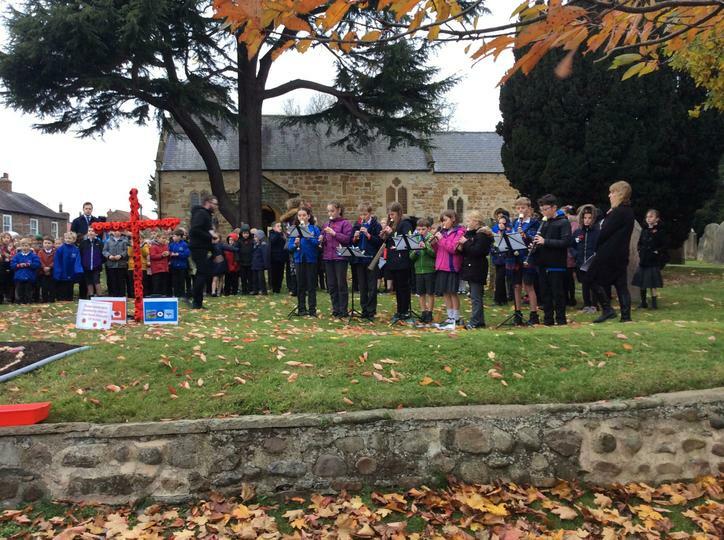 The whole school gathered in St Wilfrid's churchyard around a large wooden cross while parents and villagers watched from the village green next to the church. Reverend David Biggs introduced the children's contributions of poems, prayers and hymns before the last post was played and a member of Thirsk British Legion read the dedication. 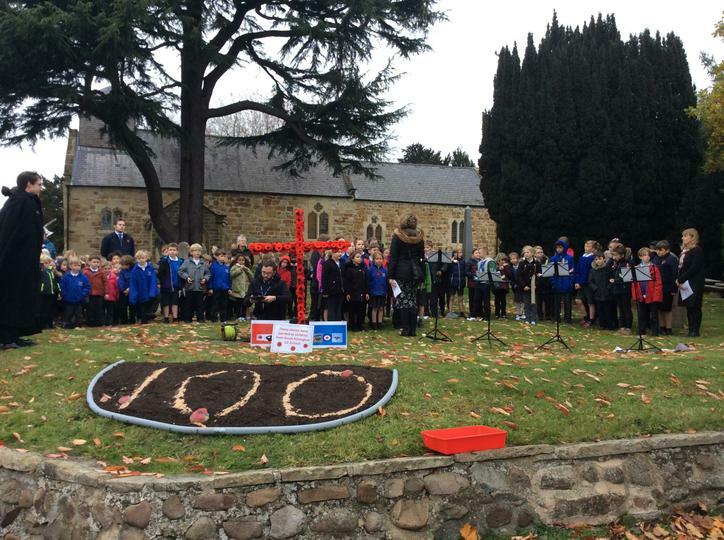 Following two minutes silence, the school recorder band played while each child placed a pebble, which they had decorated with a poppy, to form the figure 100. 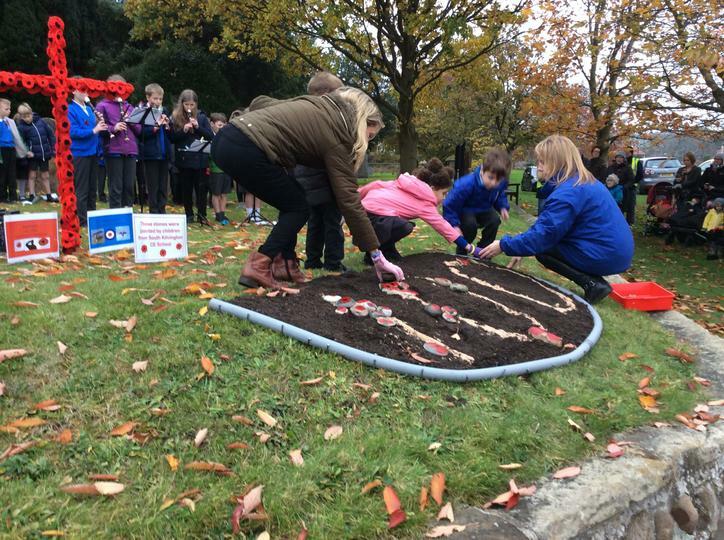 Every child contributed and we hope this event will help them remember the huge cost of so many lives in World War 1.